16 Mar Why Most Websites Fail to Generate Business for Their Owners? I could give you endless business jargon here, or I can tell you a story. I prefer stories over jargon, so here is a Fable of Aesop for you. Once upon a time, an ox came to the river to get a drink. As he stopped for some water he nearly stepped on a young frog who barely managed to hop away. “No, he’s much bigger,” the younger brother says, so the older brother puffs himself up more, and more until finally, he pops! 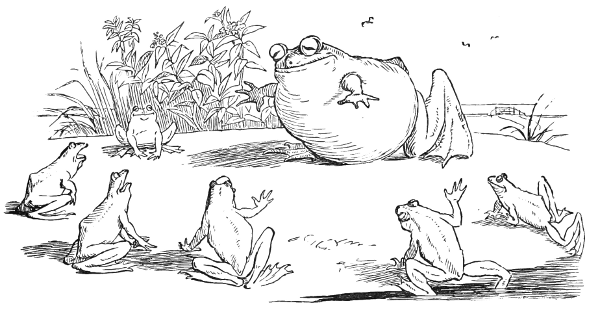 Many businesses are similar to the older frog. In the face of new competition or a scary industry, they puff themselves up. This method of websites doesn’t work! Because they’re using the wrong approach. They’re approaching websites all wrong!! I invested a good amount of my marketing budget into developing this website, and all I have now is another address to go on my business card. I don’t think I do much business through the website. It is only to make sure have an online presence like others do! 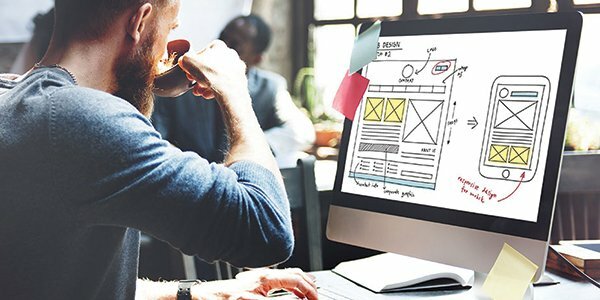 Do you have any other reason for designing a website for your business? Do me a favor, and add it to the comments below! Let’s collaborate in finding what doesn’t work right here and right now! Time for a reality check then. Does it help you attract more customers? Does it help you build your e-commerce business? Does it help you grow your offline business too? If your answer to any of these questions is another big question mark (the animated one that pops into your head) then let’s shake it up a little bit. You say you design your website for your customers- We say- Your customers don’t care about your website! All they care about is…Themselves! They have tons of stuff to go through on the internet and the last thing they want is to go through yet another small business website selling some stuff or promoting some service. The more your website can engage and excite your visitors, the more you can expect them to come back to your site, or at least help you spread the word! You say you have the demographics of your customer base absolutely right, so your website should be for “x type” of customers living in “y type” of the community have “z level” of income or social standards. We say- You are totally wrong on this one too! Each client is different and they will react to the same visual stimulus (in your case –your website) differently. What you can do is, design your site in such a way and create content in such a manner that you are able to reach, more or less, everyone in your target audience in more than one way. Can you still see the question mark pop on your head? Let’s go further down our analysis of what are the common mistakes that we (designers, developers, businesses, almost everybody except your customers) make when we present a website to the world. 1. Who are You Working With? – Designer or a Developer? Or both? Now, some developers have design skills and some designers have development skills, but what you need is a professional developer, who is concerned with clean coding, spot-on functionality, AND design. 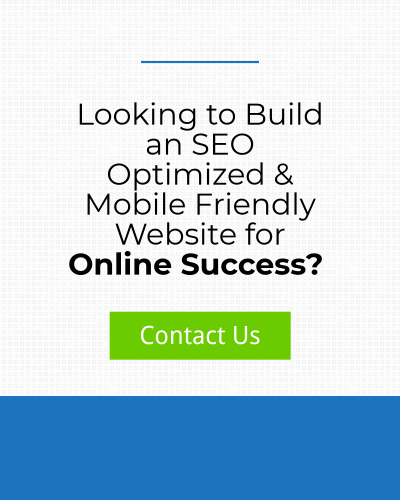 They build websites that not only work for people but are also search engine friendly. Remember, when it comes to websites, you get what you pay for. 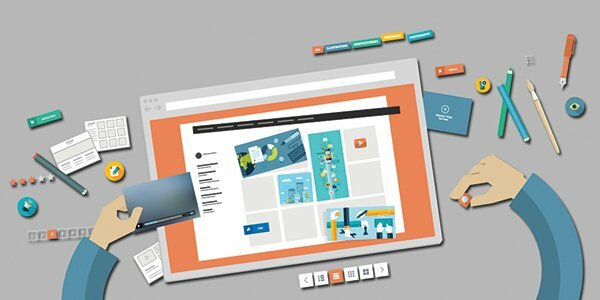 A DIY website builder is of course tempting! (Disclosure- I built my website that way, now it’s defunct and lying in the bottomless pit of my archives somewhere). 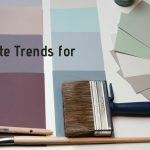 Most DIY options will give you a great template that will look crisp and exactly what you want on the home page, but when it comes to click-through options, there is not much for visitors to interact or engage with the brand. You build a responsive website. But is it mobile-friendly? Most web design and development teams are great at building a cool website for desktops, but that’s where the mobile-friendly focus ends. Smartphones and tablets are continually replacing the desktop as the most preferred way to browse the web, so your site must drive engagement from visitors. Your front-end (user interface) should be designed in a way that it is always responsive and support all mobile devices, if your design is not responsive you may be penalized for search results. You can also develop another site for mobile devices on a subdomain, but an advanced front-end responsive website should be by default, but make sure you test all the features on mobile versions for a seamless user experience. Want to Test Your Site’s Mobile Friendliness? And no, we are not saying have Morgan Freeman to do a voiceover for you 😉 – I can go on endlessly with this one. Of course, you are in love with your business and can talk about it for ages, but my question is, is anyone really listening? You must educate the audience, but don’t talk only about yourself. Give your customers some food for thought. 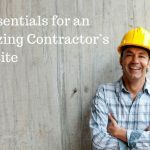 For example-You can draw people to your HVAC business by creating a blog for homeowners who crave property maintenance tips. After providing help with installing new furnace filters or explaining how to reduce winter heating costs, guess which business will be trusted when it’s time for an estimate on a new central heating system? You have to keep it simple. If you have too many visuals you will end up distracting your audience. Simple and clean websites appear more professional and easy to navigate than overcrowded pages. Twitter – Simplest and Cleanest! It’s better to underwhelm your customers than overwhelm them on your site, so they can think of your products and services, not how your website took ages to load and wanted to send cookies the moment they landed on the home page. 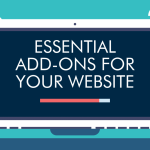 Simple, clean websites appear more professional and easy to navigate than overcrowded pages. Pay attention to what’s visible and when visitors need to scroll down for more information. Use simple words, short videos, contact points- give an enticing reason to stay on the site such as an engaging blog post. 6. 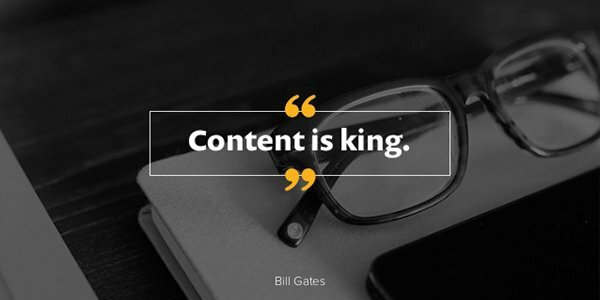 Content is STILL THE KING! Consider this, you have a great product, a superb offline customer base, but your website looks dull and lifeless. 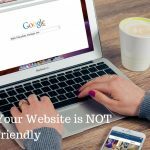 Your website is not a robot. It is a living, breathing organism, albeit in a virtual sense. It needs to have a connection with real people, and include testimonials, reviews, and original photos – all of this is going to make it more accessible to users searching for it on search engines. Your website should be your online Avatar. What you really are is what is depicted on your website. 7. They Make a Mistake – You Pay! Or your website pays. From coding and updates to content creation and visual design, it’s beneficial to have IT pros and expert website developers at hand. A polished digital presence ensures your online branding and marketing efforts are instantly recognized. Don’t let a web development or design error make customer question the effectiveness and legitimacy of your business! Case in point coders using old HTML and CSS techniques for coding! Today, most of the front-end designs rely heavily on the support of a browser. Most browsers do not support old HTML elements, which can put your website in jeopardy. The result? Your website is a rudderless boat, susceptible to safety attacks. 8. Speed is as Important as Accuracy! We live in a visual world. It’s all about pictures, memes, videos, and selfies today. Google accounts for load times in its search algorithm. Facebook has something similar for its advertising space. In a world which is transitioning more and more towards browsing the web on handheld devices; this is a crucial metric to check. Do you have a sales page with a pitch in the form of a video? If that video keeps buffering or is too long, no one will get to see or hear your pitch beyond the introduction. 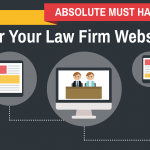 If your fancy website with full –width graphics takes forever to load, no one will love it. Think about the fact that a lot of your website’s traffic is mobile these days. 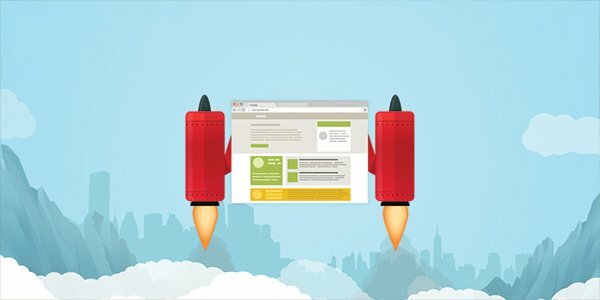 If your website is highly optimized for functionality and speed, you don’t have to worry about visitors bouncing from your website as soon as they land on it. If you have a developer on your team, I hope there is nothing to worry about. If you are taking care of all of the above, and your site is still just a me-too site out there, maybe you should check with your hosting provider. Cheaper hosting usually means a slower website and if you do like your host, upgrade to a faster hosting, which means your host is yours alone, and you have their full attention (and bandwidth) instead of sharing it with any other website. 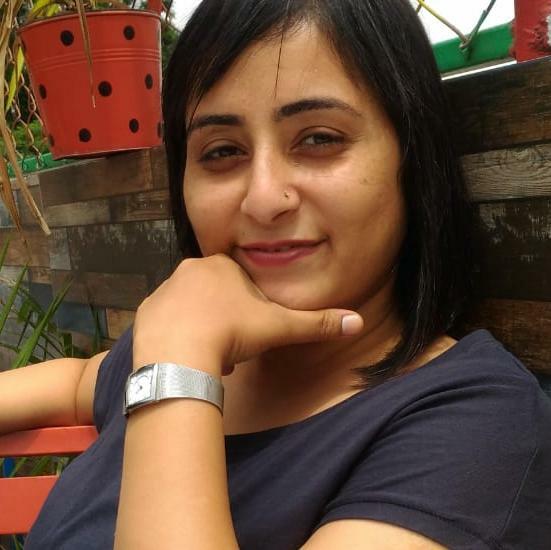 A Finance professional in her previous avatar, Bulbul entered the arena of content writing to sooth her creative energy and found a lot of like-minded souls who helped in developing her digital marketing career. In past 5 years, she has worked on all the aspects of internet and helped many small businesses establish their online identity... In her free time, she loves to cook, read, travel and spend time with her husband and son.She strongly believes that you can make yourself learn anything you set your eyes on and if you push your limits, nothing is impossible. We know the digital world in & out and we love helping you grow your business.